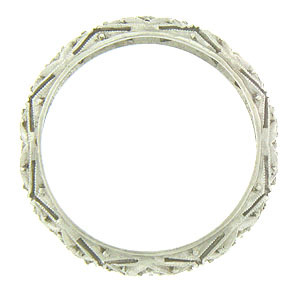 Fantastic abstract organic cutwork and engraving cover the surface of this antique wedding band. 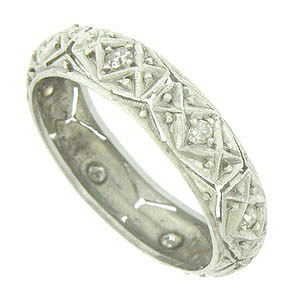 Dazzling round cut diamonds press into the surface of the 18K white gold wedding ring. The ring measures 4.23 mm in width. Circa: 1910. Size 4. We cannot re-size.